ASME has been defining piping safety since 1922. 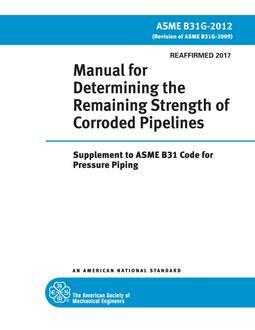 ASME B31.1 prescribes minimum requirements for the design, materials, fabrication, erection, test, inspection, operation, and maintenance of piping systems typically found in electric power generating stations, industrial and institutional plants, geothermal heating systems, and central and district heating and cooling systems. 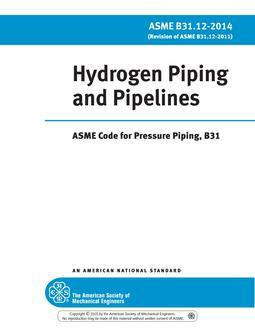 It also covers boiler-external piping for power boilers and high-temperature, high pressure water boilers in which steam or vapor is generated at a pressure of more than 15 psig; and high temperature water is generated at pressures exceeding 160 psig and/or temperatures exceeding 250 degrees F.
ASME B31.1 is one of ASME's most requested codes, widely adopted by jurisdictions worldwide. 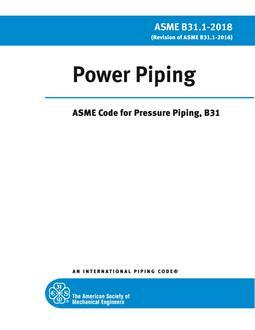 It is prominently referenced in ASME's Boiler and Pressure Vessel Code, Section I. 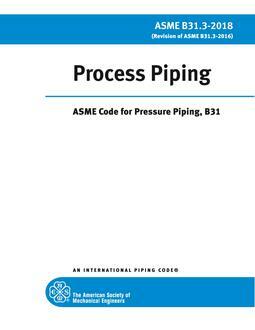 This Code serves as a companion to ASME's B31.3 Code on Process Piping as well as to the other codes in ASME's B31 series. Together, they remain essential references for anyone engaged with piping. Intended for manufacturers, designers, operators and owners of piping systems including, but not limited to, steam, water, oil, gas, and air services, plus all potential governing entities.